Beautiful and stylish, these multi-purpose labels are extremely versatile, and great for the whole family! 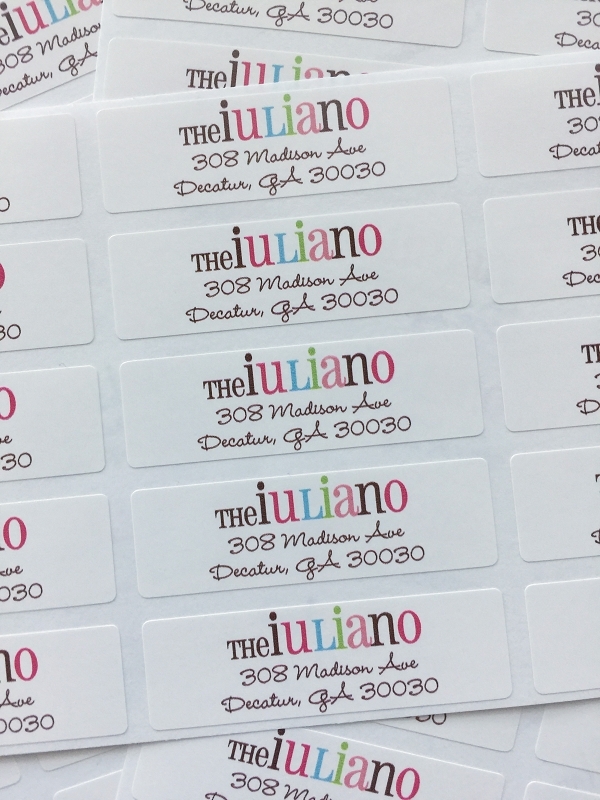 Use a set for custom return address labels, adorable gift tags, kitchen labels, tags for your home-baked goodies, library book plates and more! Personalization can be just about anything you'd like, so you can label with style™! small size approx. 2 1/2" x 3/4"
I order these to use as my "every day" address labels throughout the year. Very cute! The address labels are absolutely adorable! Great colors--can't wait to mail something! these labels are cute as a button and work wonderfully! These came out great! Just like in the photos. My daughter loved these labels for her first year of college & has already gone through a whole package labeling her binders, notebooks, laptop, water bottles, coffee mugs and endless dorm items, etc. A cute & handy way to stay organized sharing a small space with other girls! I have the Good Cheer labels and use them as return address labels with the matching foldover note cards. Both are perfect and so cute. I get compliments every time I send a note! The set of labels and note cards would be a perfect birthday gift for a girlfriend.